February 10th, oh my god! Can you believe it. What a day, what a day indeed. In 1720 on this day Sir Edmund Halley was appointed as Great Britain's' second Astronomer Royal. He had identified the comet that bears his name in 1682. Speaking of space anomalies, how about the latest of recent asteroids found in our current day atmosphere. That's right folks, yesterday it was reported on my iPhone that not only did the stock market open 666 points down on early trading, but another asteroid was recently discovered only hours before it entered our atmosphere; fortunately it passed, but I tell you as I did with the February 4th asteroid, it means something. A universal change which is beginning and it is going to be yuge. It's probably something out-of-our control, but also a direct result of the karma of the Orange Headed Reptilian leading out country at this time. 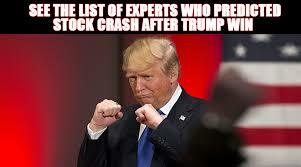 The one who took full credit for the gains of the Obama stock market he inherited and so invoked the karma of reality to hit him and give us another crash like the last Republican lizard gave us. How many more messes do we have to clean up before the 99 percent of us serving the top 1 percent wake up and realize that we don't have an elective government, what we have are the remnants of the 1963 military coup which assassinated our last elective representative in cold blood in Dallas Texas using Hunt money. We became a banana-republic that day, and since then have only had reptilian clones to vote on. Don't know what a reptilian is? It's a cold-blooded creature with no heart who lives under heat lamps and adds no value to the world whatsoever. Okay, that's all for today, I wanted to keep it lighthearted before next week when it gets really, really, bad and Donald Trump blames his failures on the Grey Aliens (who by-the-way, are invested in bitcoin) and the Reptilians turn on him and impeach him so they can destroy social security before the mid-term elections when they will be voted out by a majority of the 99 percent who are finally waking up, but not enough because they really have to stop voting for Democrats and Reptilians before we will ever get our government back. Erik Jones. “You would see incredible pressure on stock prices if Trump wins and everyone flooding into rare metals like gold and into bonds” in the U.S., Germany and the United Kingdom, Erik Jones, professor at the Johns Hopkins University School of Advanced International Studies, told Politico’s Ben White. Andrew Ross Sorkin. The New York Times clomnist and CNBC anchor wrote: “In all likelihood, a Trump victory would lead to a swift, knee-jerk sell-off. Many investors will choose to sell stocks and ask questions later.” In fairness to Sorkin he hedged his believe in the sell-off by writing: In truth, it’s impossible to predict how the markets would settle into a Trump presidency, despite the speculation on all sides. In all likelihood, it will take time for investors to truly make sense and “math out” how his policies would affect the economy. Lawrence G. McDonald of ACG Analytics hedged also, predicting a massive sell-off followed by a relief rally. “Trump will create a colossal panic, but the relief rally will be outstanding,” he told Sorkin. Well, he got the rally right, anyway. Simon Johnson, a former chief economist of the IMF, a professor at MIT Sloan, a senior fellow at the Peterson Institute for International Economics, and co-founder of a leading economics blog, The Baseline Scenario had perhaps the most panicked reaction, in keeping with his status as America’s most authoritative economists. “With the United States’ presidential election on November 8, and a series of elections and other political decisions fast approaching in Europe, now is a good time to ask whether the global economy is in good enough shape to withstand another major negative shock. The answer, unfortunately, is that growth and employment around the world look fragile. A big adverse surprise – like the election of Donald Trump in the US – would likely cause the stock market to crash and plunge the world into recession,” Johnson wrote on October 29, 2016. Ian Winer, director of equity sales trading for the securities firm Wedbush, predicted a 50 percent fall in stocks if Trump won. Bridgewater Associates. “On Tuesday, Bridgewater Associates sent out a note to its clients predicting that the Dow Jones Industrial Average could plunge nearly 2,000 points in one day if Trump is elected president. That would be the biggest one-day slump in stock market history, by more than double, besting the 777 point plunge that happened on October 29, 2008, at the high of the panic surrounding the financial crisis. The drop would translate into a 10.4% dive, and immediately send the stock market into correction territory,’ Fortune‘s Stephen Gandel reported.